What does ulana lau hala mean? What materials are used? What kinds of things can you make with lau hala? Would you like to use moena (floor mats) at your house instead of carpets or rugs? Why or why not? What is special about traditional Hawaiian pillows? 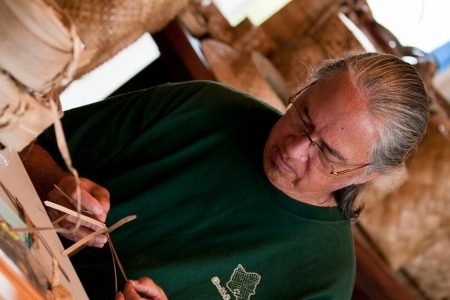 What makes Hawaiian fish baskets different from other styles in the Pacific? Why has ulana lau hala endured from ancient to modern times? Cut some paper into strips and practice weaving different shapes and patterns. Use hala leaves if possible. Poetic expression often used in reference to Niʻihau. Ever played with a simple object, like a stick? Using your imagination, the stick can become anything you want—a sword, a guitar, or even a magic wand. Imagination is powerful. Our kūpuna used their imagination and were very creative. They found uses for just about everything in nature. They could look at the leaves of a tree, and see a mat, or a basket, or the sail of a canoe. 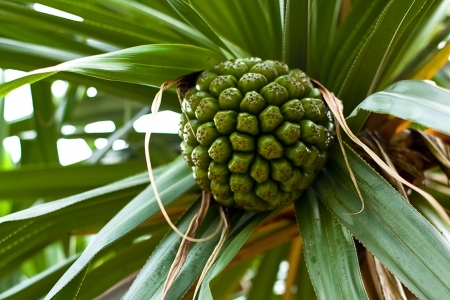 One of these useful plants that sparked their imagination was the pūhala, or pandanus tree, whose leaves are known as lau hala. He iki hala au no Keaʻau, ʻaʻohe pōhaku ʻalā e nahā ai. I am a small hala fruit of Keaʻau, but there is no rock hard enough to smash me. The boast of a Puna man—I am small, perhaps, but mighty. The term “lau hala” refers to the lau, or leaves, of the hala tree. Lau hala are long, flexible, durable, and water resistant. Lau hala were plaited or woven together. The Hawaiian term for this is ulana. The main purpose of ulana lau hala was to make mats. Mats were made in many different sizes, shapes, and patterns. Hawaiians had different names for these mats. The general name was moena or moena lau hala. These were used for sleeping mats and floor mats. 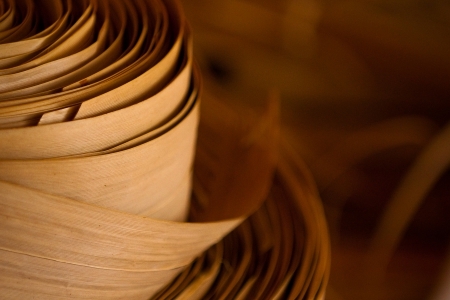 Moena lau were coarse mats made with strips of lau hala an inch or wider. Moena makapepe used strips of a half inch or less and were also used for floor mats. 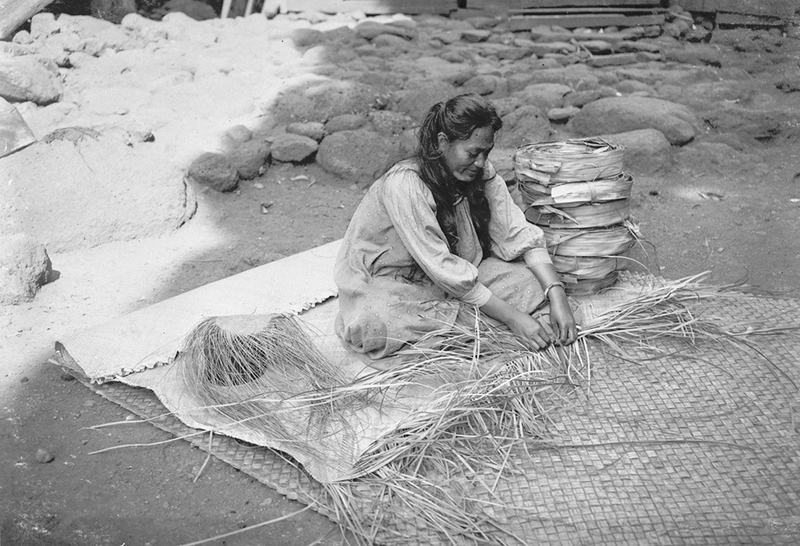 Moena pūʻao and moena makaliʻi were the finest mats and were used for bedding. 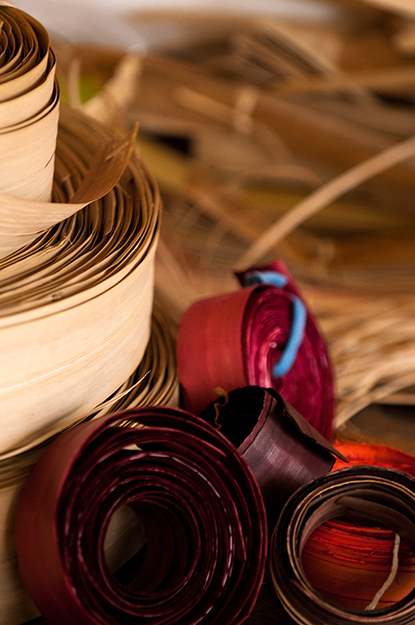 The process for selecting and preparing the lau hala depends on the desired final product. First, the appropriate leaves have to be gathered. Usually, dry leaves that have just recently fallen from the tree are picked. In some instances leaves are selected directly from the tree. The finest mats made of lau hala utilize young leaves that are still white and straight. The leaves are then cleaned. The thorns are removed from the edges and the midrib, and lau are soaked in salt water to remove any dirt or foreign particles. Next the leaves are bundled together in rolls called kūkaʻa. Kūkaʻa are easily transported and stored. Kūkaʻa also keep the lau hala flat. Sometimes the leaves are pounded to make them more pliable. In this case, a hohoa (rounded kapa beater) is used. The leaves are then made into strips of the desired size to be woven together. Hilo, nahele paoa i ke ʻala. Hilo, where the forest is imbued with fragrance. Hilo’s forest is fragrant with hala and lehua blossoms. 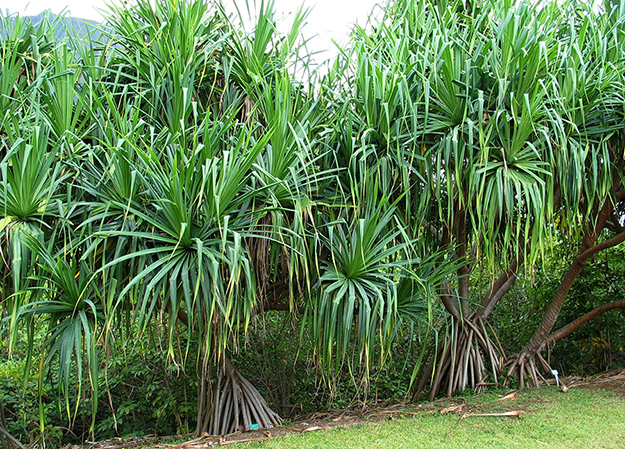 The hala, or pandanus tree, is native to Hawaiʻi. 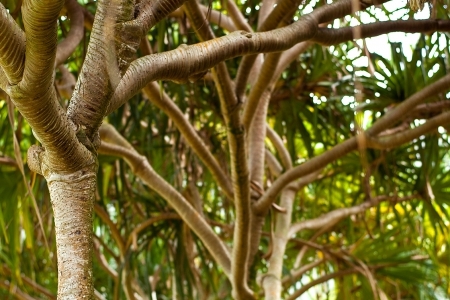 Scientists once believed that the hala tree was brought by the first people to arrive in Hawaiʻi. However, fossilized hala tree seeds were later discovered, proving that the hala plant had been in Hawaiʻi for thousands of years. 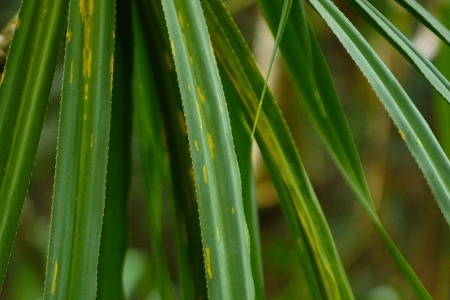 The moʻolelo (story/history) of Pele’s arrival in Hawaiʻi includes a story about the spreading of the hala plant. Pele is the goddess of the volcano and fire. She traveled to Hawaiʻi from her home on Borabora, Tahiti, in search of a new home. Pele found her new home on Hawaiʻi Island. However, when she arrived on the shore of Hilo, she became entangled in the leaves and roots of the hala trees. The hala leaves are covered in thorns. Pele became angry and tore up the trees and scattered them across the land. Each piece of hala that was scattered became a hala tree. This is how the hala tree became so widespread throughout Ko Hawaiʻi Pae ʻĀina (the Hawaiian Archipelago). As with other ʻoihana (professions), the tradition of ulana lau hala has been passed down from generation to generation. 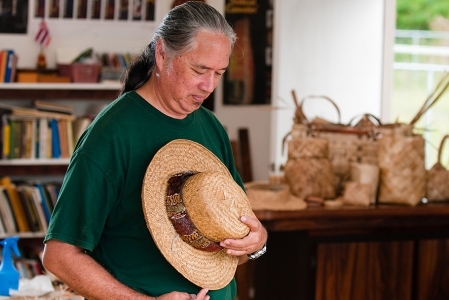 Ulana lau hala is still a thriving practice in Hawaiʻi. 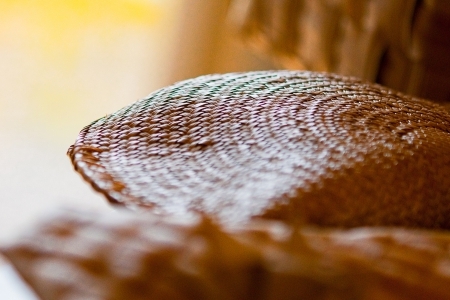 These days, most of the lau hala produced is used to create functional and decorative pieces such as fans, baskets, bracelets, and hats. Lau hala mats are rare and, when seen, are usually showcased on a wall as an example of fine artwork.